A sophisticated stone wall, custom walkway, and towering columns lead to the grand entrance of 2063 Waterford Drive. This extraordinary E. Lampeter Township home contains 4 bedrooms, 3 full and 3 half baths, and over 7,250 Sq Ft. With numerous updates and improvements specifically new flooring- carpet and tile throughout much of the main level. The elegant 2-story foyer is welcoming with hardwood floor, curved wood staircase, and large window. 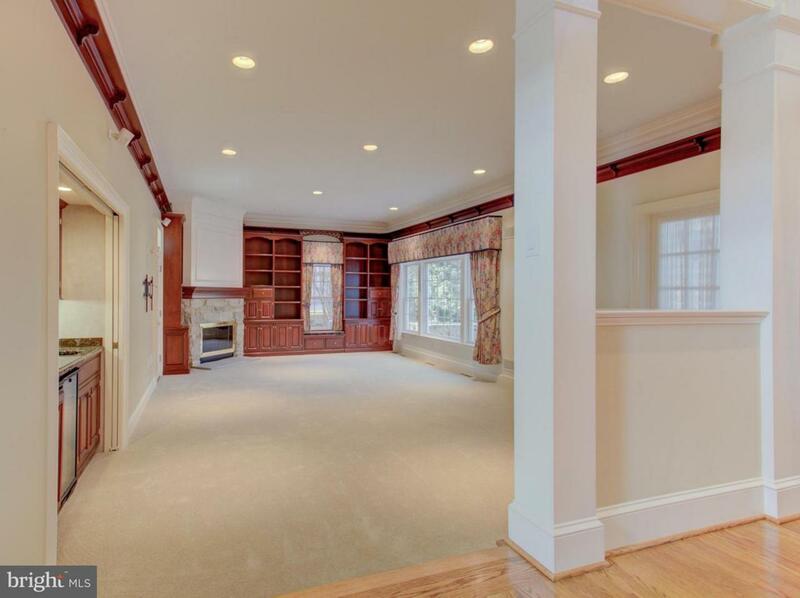 A first floor office consists of a coffered ceiling, cherry built-in shelves all while overlooking the front yard. The formal dining room comes complete with tray ceiling, built-in corner cabinet, and chair rail. 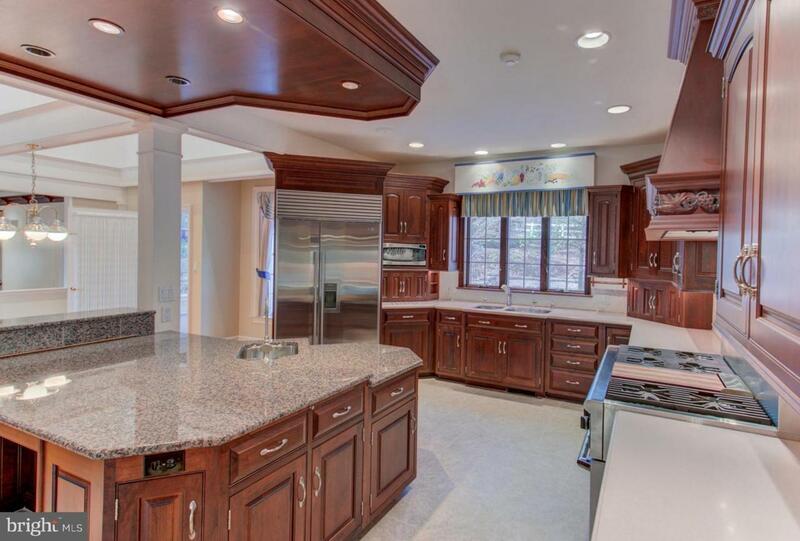 A cook lover's dream of a fully equipped kitchen with center island is surrounded by cherry cabinets. The center island features granite counter top and breakfast nook while the surrounding Corian counters with tile backsplash incorporate a Thermador Pro range with 6 burners and exhaust vent. The kitchen looks into the breakfast area complete with columns and exposed beams. Step down into the sunken living room featuring a gas fireplace surrounded by stone, wet-bar with granite counter, and cherry built-in shelves. 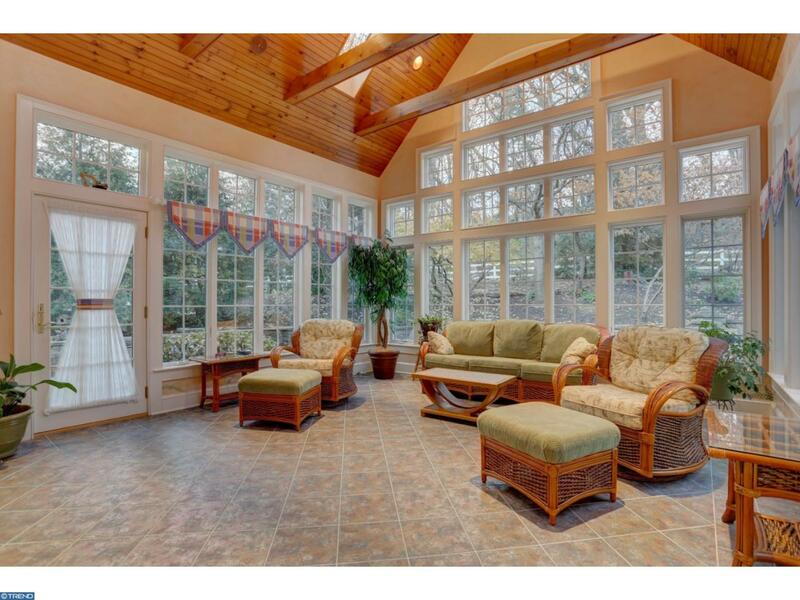 The sunroom is an eye catcher with vaulted ceiling, exposed beams and grand windows. The upper level hosts 4 bedrooms and 3 full baths. Just off bedroom 4 is a large storage room. The master suite accommodates a tray ceiling, dressing area, and his and hers walk-in closet. The lower level is an entertainer's paradise with large great room including a brick fireplace, full wet bar, and a game room. Other unique features of the lower level include abundant storage, a built-in water fountain and secluded sitting room with half bath. Plus, the home has a walk-in pantry closet and a first floor laundry room with chute. The exterior of the property is fabulous with landscaped yard, endless patio including an outdoor grilling station and relaxing covered patio facing the front.